We have reaffirmed our commitment to The Blues, announcing today that we will become the Super Rugby Club’s Principal Partner from the start of the 2016 season. The new three-year deal is the first major sponsorship we have undertaken and will see the nib logo move from the players’ shorts to the prominent front-of-jersey position. This will replace BNZ, who has been the front of jersey sponsor of all New Zealand-based Super Rugby clubs since 2010. 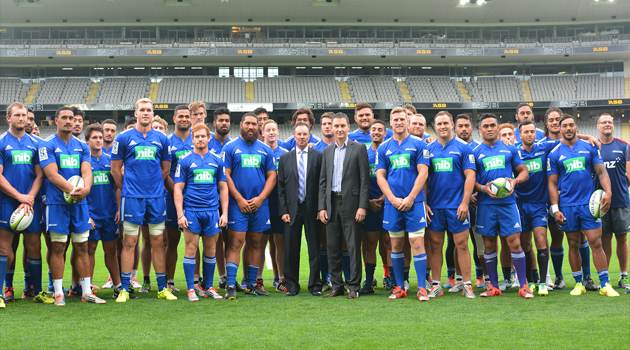 After launching the brand in the New Zealand market in October 2013, we joined with The Blues from the start of the 2014 Super Rugby season as the club’s Major Partner on a three-year deal. The association with New Zealand’s most popular sport aimed to play a key role in building the health funds’ brand awareness and profile across the country. nib New Zealand Chief Executive, Rob Hennin, said the health fund has enjoyed a very positive association with The Blues, which is evident in the decision to upgrade its level of support just half way through the current deal. “We understand the value sport sponsorship can play in building brand awareness and driving affinity among its fans. Given the great popularity of rugby in our country we saw the sponsorship of The Blues as a key component of our overall marketing strategy,” Mr Hennin said. “nib has experienced fantastic growth in the domestic private health insurance market since our establishment in New Zealand just under two years ago, which has been on the back of strong above and below the line marketing strategies including the Blues sponsorship. Chief Executive of The Blues, Michael Redman, was delighted that nib is upgrading and extending its partnership for a further three years.